General Motors Co. said today that Karl-Friedrich Stracke will replace Nick Reilly as CEO of its Opel/Vauxhall unit, effective April 1. Stracke has led GM's global vehicle engineering for the last year and a half. He will report to Reilly, who will continue as the head of GM's European operations and will be nominated to chair the Opel supervisory board. GM said the move adds significant management strength as the company's European operations continue on their growth plan. "The European market and our European operations are important to General Motors, and these moves will ensure that we have the best leadership in place as we continue toward growth and profitability," said GM CEO Dan Akerson in a statement. Stracke, 55, is a 32-year veteran of GM. 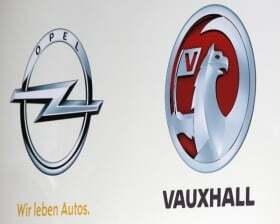 He joins Opel/Vauxhall as the money losing division seeks to return to profitability after reducing capacity by a fifth and cutting about 8,000 of its 48,000 workforce. GM Europe was GM's only unprofitable division in 2010. Black ink from Opel would be key to GM Europe's recovery. GM lost $1.76 billion in Europe in 2010. GM has said that it expects GM Europe to break even this year, before restructuring costs. Reilly will also continue to oversee Chevrolet and Cadillac in Europe, in addition to serving on the Opel supervisory board. Reilly joined GM Europe in November 2009 after running GM's international operations based in China for three years. "I will be staying in Ruesselsheim," Reilly told journalists during a conference call on Thursday. "As he (Stracke) gets his feet on the ground more, it will allow me some more time to look at the long-term strategic positioning in Europe." Stracke will be replaced in the global engineering role by John Calabrese, GM's executive director of global vehicle engineering. Calabrese joined GM in 1981. 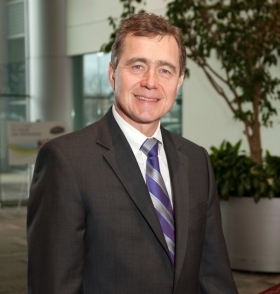 He has held several key leadership positions in GM's global engineering operations. Stracke, a German native, is a mechanical engineer and joined Opel in 1979. He rose through several engineering positions to head Opel's plant in Bochum, Germany, from 1995 until 1999. Stracke rose through GM's ranks as an engineer. Later he was a director of product development at GM's technical development center in Russelsheim, Germany, then held several executive director positions in engineering in Germany and the U.S. before being apponted head of global vehicle engineering, in December 2009. Stracke is credited with being one of the key engineers responsible for overhauling and revamping GM's vehicle lineup as it emerged from a government-led bankruptcy in 2009, including the introduction of the Chevrolet Volt plug-in hybrid car. Stracke, along with North American President Mark Reuss, is among the "car guys" who have taken a lead role at GM since the bankruptcy. He faces an uphill battle as the mature Western European market is seen as the laggard in the global auto industry's slow recovery. "Europe is a bad market for everybody, and in particular for GM," said Morningstar analyst David Whiston. "So to see some sort of change there is no surprise." In 2009, GM dropped plans to spin off Opel, backtracking on months of negotiations to sell it. The German government waged a high-profile battle against any sale. Opel has essentially wiped away perceptions among European consumers that it may not survive, but it may take about five years to restore the brand's image in its home market of Germany, Reilly has said.